Over the past 20 years, Syracuse, New York has reinvented itself as a Center for the Arts, both among its traditional, institutional assets and its rising independent scene… a burgeoning Cultural Hub primed for lift off. Yet, unfortunately, the regular schedule of robust investments in new, dynamic forms of Public Art that the City, and its residents, came to enjoy as part of the Warehouse, Connective Corridor, and NWSI efforts being spearheaded by Syracuse University’s School of Visual Performing Arts (VPA), the School of Architecture, and the Office of Community Engagement, has recently shifted elsewhere leaving a large funding gap to be filled. We know that a healthy Public Arts Program is the front line of a healthy arts ecosystem, informing creative place-making and spurring the potential for new projects, opportunities, and investments in the critical infrastructure that our artists and creatives need to be productive, marketable, and to thrive right here. 315 ALIVE aims to maintain our very positive momentum! 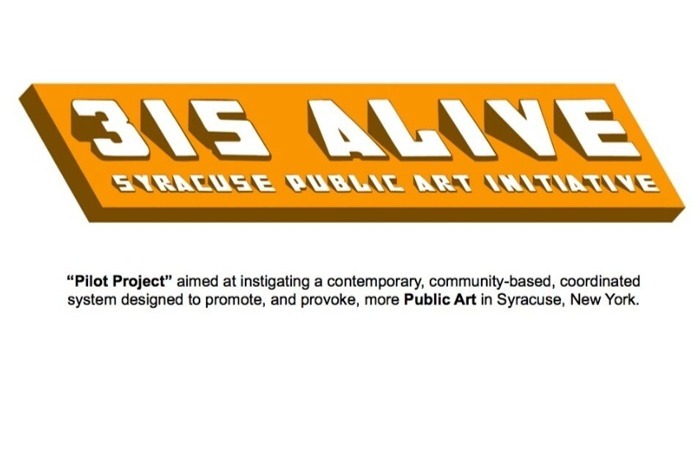 Through site selection, diverse artist participation, community engagement, and coordination and collaboration with city residents, associations, development organization, and other stakeholders, 315 ALIVE will execute murals using a wide range of works of art, from historical murals, to new, contemporary designs. Our initial goal of $12,000.00 through this platform will drive the effort toward its total budget of $40,000.00. 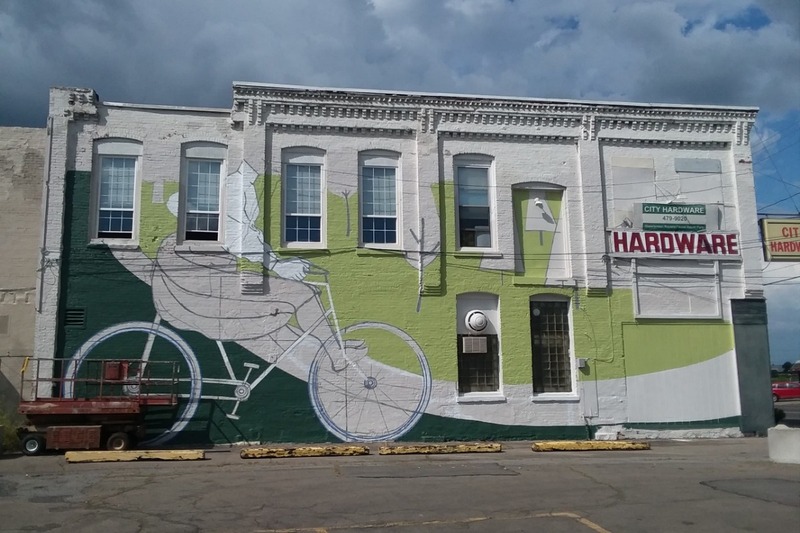 Funds will be used for artist stipends, blanket insurance coverage, permitting and fees, art making materials, mural maintenance, and to market and administrate the effort. We also seek “In-Kind Donations” that can help to turn our City’s wall into works of art. 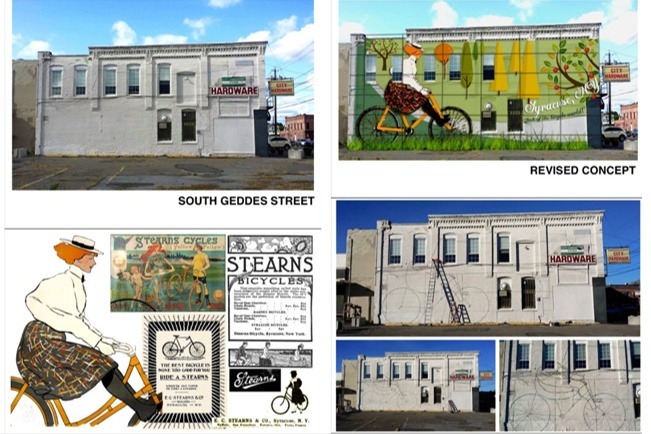 The first instillation will be a historical rendering called "The Hub of the Bicycle World" on the south wall of the old Stearns Bicycle Building, now the location of City Hardware at 214 S. Geddes St., near the corner of W. Fayette St. This project has already been approved by the City's Public Arts Commission and can begin installation in early August based on our fundraising efforts. We are so excited by the response we've seen from all of you so far!! We've raised $835 and we are approximately halfway done with our first mural. Stay tuned for information on the next project events including the next call for artists and an advisory/steering meeting next week.